Last week we covered SmaCircle S1’s eBike. 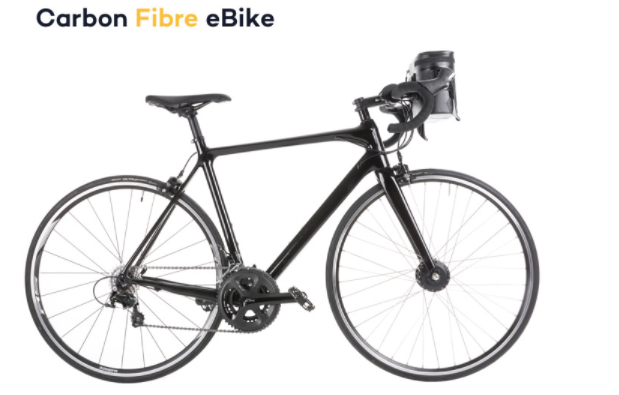 For people on the market for a new eBike, that is probably one of the best eBikes out there. The question is, what about if you want to convert your ordinary bike into eBike? Look no further. Swytch’s eBike kits may just be what you need. 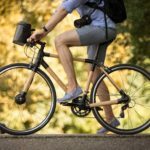 The Swytch Kit is an all-in-one electric conversion kit that is compatible with any type of bike, road bikes to beach cruisers and everything in between. It’s the world’s lightest, most affordable eBike kit. You can easily convert your bike to electric power, while maintaining the look and feel of your original ride. The ‘Swytch System 25 miles’ version is available for $650. The ‘Swytch System 50 miles’ is selling for $799. 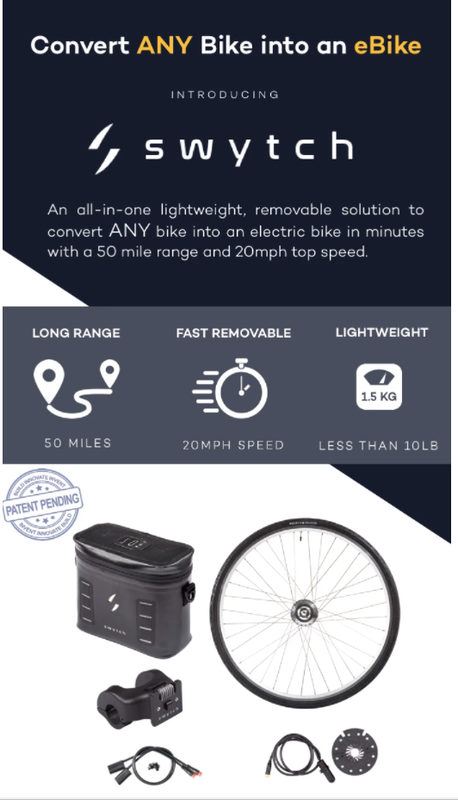 The Swytch Instant E-Bike Kit crowdfunding campaign is still ongoing at IndieGogo. So far, they have raised a total of $288,933 USD. That is 577 percent funded as of December 15, 2017. Swytch was founded by Oliver Montague. He has over 6 years experience designing and building electric bikes. 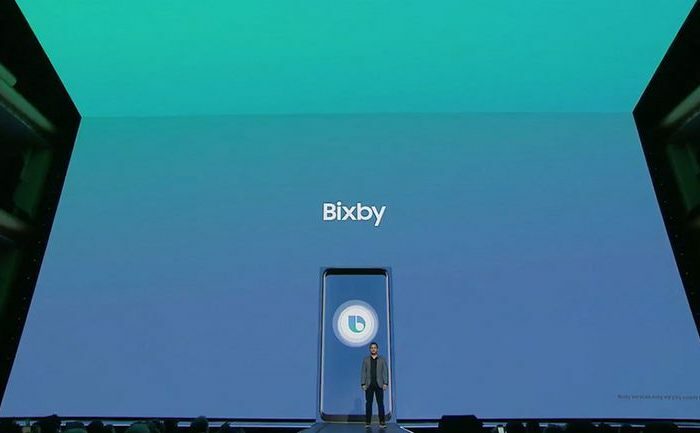 He noticed that most eBikes are unnecessarily heavy and expensive due to the exotic frame designs, additional materials and superfluous features crammed into the eBike. What’s more – these eBikes no longer look, feel, or work like a proper bike any more. Fed up with the high prices and poor quality of existing products, he had an idea for how to re-think the entire concept of an electric bike. Using his existing supplier network and a close knit team of engineers and Ddesigners he began prototyping and developing what is now the Swytch Conversion Kit. 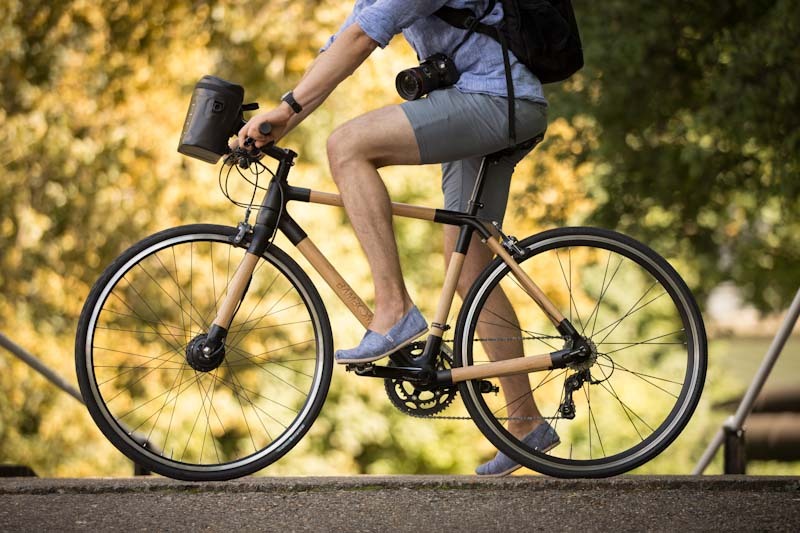 Swytch Instant E-Bike Kit electrifies your ride. Swytch currently has four selections to choose from. 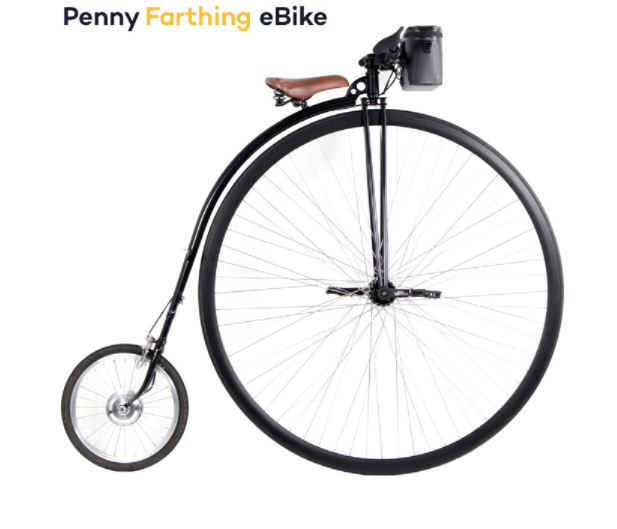 You can choose from one of four truly unique frames: Bamboo, Carbon, Street Cruiser, or Penny Farthing! Each model is fitted with a 50mi range Swytch. Swytch also comes in three speed modes: Long range, Fast Removable and Lightweight. You can pre-order the Swytch e-bike kit at their Indiegogo campaign page. Also remember that crowdfunding projects can be risky, so buyer beware. TechStartups.com does not have any association with Swytch.